Static Caravan Upgrade – Do You Refurbish or Trade in? Static Caravan Upgrade – Refurbish or Trade in? 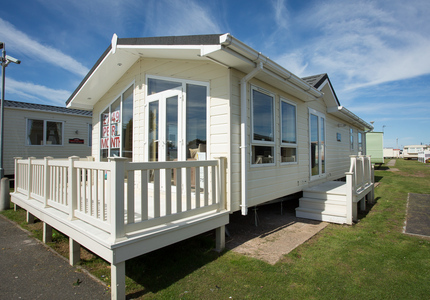 As an investment in holidays, a static caravan is one of the most popular choices for a holiday home in the UK. Fantastic for short breaks and annual holidays, they are perfect for families and singles alike. Located on holiday parks that resemble small villages, everything you need for a perfect holiday is often on site. Static caravan manufacturers don’t miss an opportunity to develop bigger and better models. The way static caravans have evolved just in the past 20 years is astounding. Some even have Jacuzzi baths! It is now the norm to find central heating, double glazing and air conditioning in new models. Nevertheless due to this constant evolution older models become outdated quite quickly. If you are a D.I.Y. enthusiast you can carry out a static caravan upgrade yourself. Here are some simple methods to upgrade your caravan and give it a new look. In doing so, you can also make it more energy efficient. Vinyl type cladding attached to the aluminium panels from which most caravans are manufactured is an excellent insulator. It will not only look good but reduce your winter fuel bills considerably. There are specialists who can do this for you professionally. Usually, they can be found in the local area near to holiday parks. Ask your park operator or local caravan dealers if they can recommend anyone. 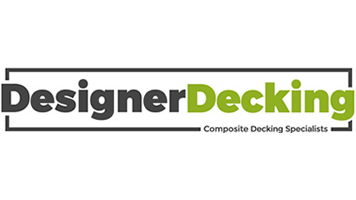 If you have enough room on your plot, decking is both practical and attractive. If it’s raining, stepping out onto decking is far better than on grass or mud. When the sun is shining a decked area provides an ideal space for dining al fresco or lying on a sun lounger to soak up the rays. Older caravans are often singled glazed. Fitting double glazing is another way to reduce your fuel bills when it’s cold. It reduces heat loss and will most certainly make you more comfortable. Condensation is not such a problem in double glazed caravans and that means less mould. You don’t have to go to the expense of buying an entirely new kitchen when your units are looking worn. If your cupboard carcasses are sound, you can fit new doors and worktops. When you have finished your kitchen will look brand new! Sometimes it is necessary to upgrade your caravan to a newer model. This particularly applies if the park it is situated on has an age limit rule. Many parks refuse to allow caravans that are more than 10 years old to remain onsite. You won’t have the option to refurbish should these rules apply. You can naturally look for a holiday park that will permit older caravans. However, the simplest thing to do is trade-in your old caravan for a newer model. You can then stay on the park you originally chose for your holidays and won’t have the expense of transporting your holiday home to a different location. If you would like to change to a newer model for any reason, get in touch with us at North Wales Caravans. We always have a huge variety of new and used caravans for sale. We offer finance packages, subject to status if you need a little help. If you are in the area this summer, why not call in and have a chat about how to go about your Static caravan upgrade?